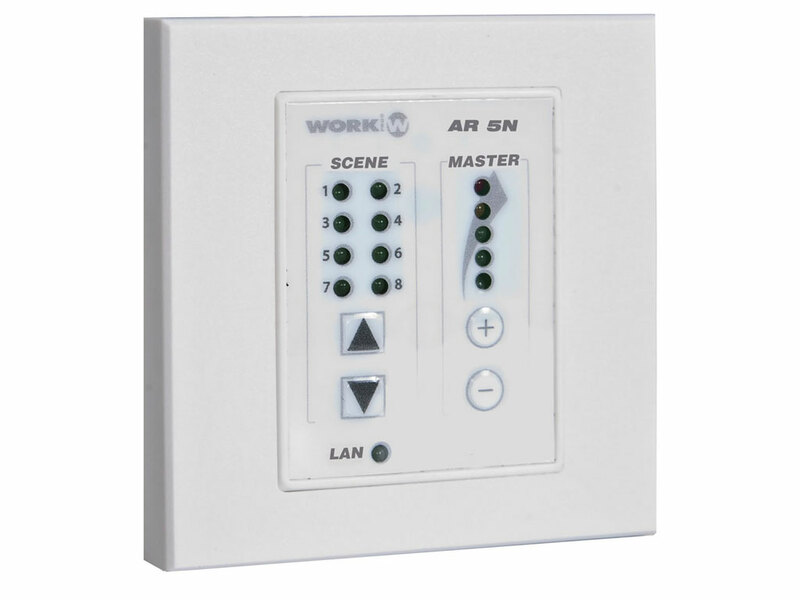 AR 5N is a wall-mount controller that allows to associate to a LightMouse device ( LM 5 ) on a common LAN and control two basic parameters such as SHOWs selection previously recorded in the LM 5 and general dimmer. 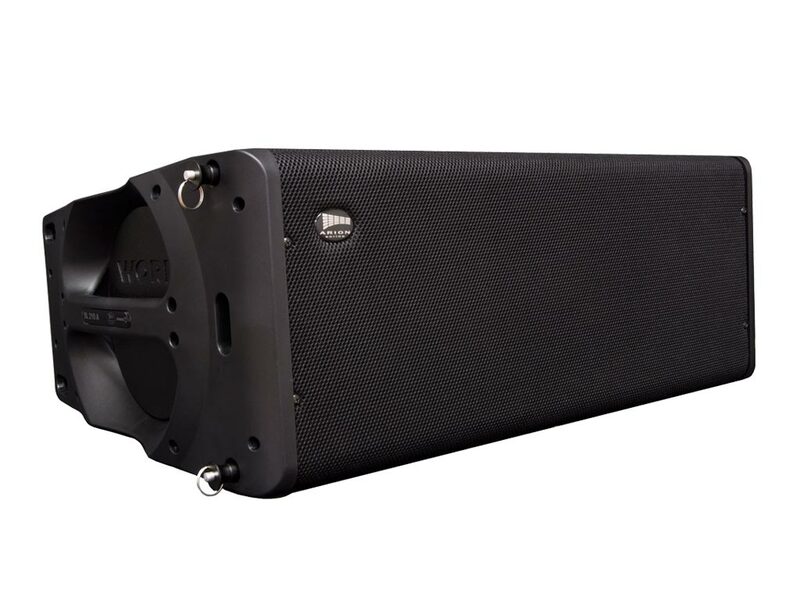 Through WORKCAD software, you can configure and link an AR 5N to control specific LM5. It is possible to associate several controller to an only LM 5. AR 5N has 8 CUE buttons, allowing to select the adecuate show. I has two additional buttons to increase or reduce the Master level dimmer (indicated by a LED bar). Its shape allows to integrate this wall-mount controller with the rest of controllers (BLC 1, WNC 1, WGC 1). AR 5N includes a electrical box to fix it the unit in an standard installation. Wall-mount controller for LM 5 interface. Allows to select one show previously recorded in LM 5. Allows to control the general dimmer. Link and configuration through WorkCAD software. Electrical box standard dimensions. External power supply (included). AR 5N Wall-mount controller for LM 5 interface. Allows to select one show previously recorded in LM 5. Allows to control the general dimmer. Link and configuration through WorkCAD software. Electrical box standard dimensions. External power supply (included). Weight: 700 g 82MEG417 62 WORK ProEquipson S.A.